But some of the most valuable content I teach here has more to do with broad, big picture stuff. Because all those little tips and fixes are what make your business better, but if you don’t implement them with the right attitude or if you don’t approach your business with the right mindset, it won’t matter how many secrets or tips you apply. Look, the difference between a success and a failure isn’t knowledge, it isn’t talent, and it isn’t luck. Because no matter who you are, or what you know, there are going to be moments where you fail. So the difference between a failure and a success is the ability and the drive to find the knowledge, acquire the skill, and develop the talent to push past failure and succeed. But if you go around doing business with a scarcity mindset and poor attitude, all it takes is a bit of hardship to knock you off-track and destroy your momentum. Mistakes aren’t failure: quitting is failure. And success isn’t always making tons of money— it’s being who your business needs you to be. But that kind of perseverance and drive just isn’t possible without the right kind of attitude and mindset. So get your mind right. OK, there’s one thing you’re just going to have to get through your head: quitting isn’t an option. And yes, I know how cheesy that sounds. It’s probably something you’ve told your clients a thousand times, but it’s literally the only difference between you and a millionaire. How many times do you think they screwed up before they reached that million-dollar mark? How many crabs in their life tried to pull them down, tell them no, convince them just to get a ‘normal’ job, hunker down, and waste their lives working for someone else? They had to tell their mom to shut-up, had to break up with their negative (but super hot) girlfriend, had overcome every opposing force and situation until they finally made it to success. Is that how you think about yourself? Is that how you go through life? Do you wake up in the morning knowing that you’ll conquer your day, that you’ll master your life, and that you will most certainly be a massive success? And this is not the motivational snake oil you see on TV at 3 in the morning, this is seriously what it takes to stop being one of the general, mediocre population and become a remarkable success. Who doesn’t imagine themselves owning a business, becoming hugely successful, and living an incredible lifestyle? I guarantee that everyone on this planet has moments when they wish they were something greater. So if everyone wants it, why do so few have it? How could incredible success ever be yours if that’s your attitude?! You can’t sit around thinking it’s not for you and then have huge success just fall into your lap. No, you have to pursue it and fight for it like it’s already yours because you know that no matter what, you’re going to get there. We all grew up hearing about the American Dream. Heck, I spent part of my childhood halfway across the world in a Communist country and I heard about the American Dream. So why do we all tell ourselves The Dream is dead? Because we decided to kill it! Every time you come to the conclusion that a struggling business and a miserable life is the best you’ll ever have, you’re kicking the already dying American Dream right in the gut. 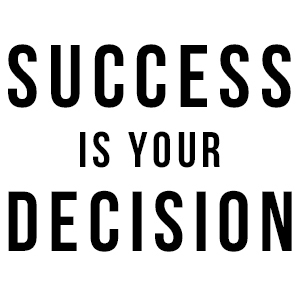 If you want to succeed simply decide to succeed. Once you’ve made your decision you just sit down and plan out exactly how to make your goals into reality. Then you do it… You do it with the unshakable mindset that you will, in the end, succeed. Your mind is powerful and you shouldn’t just let any thoughts run wild in there. Whenever you notice your inner voice doubting your ability to succeed you’ve got to immediately shut that down. I mean, don’t fool yourself: if there’s something that needs fixing you shouldn’t convince yourself that everything is A-OK. But recognize those moments when you’re being overly doubtful or too hard on yourself and cut that crap out of your thoughts! What level of success do you want? Where, exactly, do you want to end up when you’ve reached that “success” you’re aiming for? We already established that you are, without a doubt, going to get there, so why not be specific about it? Set those goals up for yourself so that you have something to work toward and you have a measure of your current success. 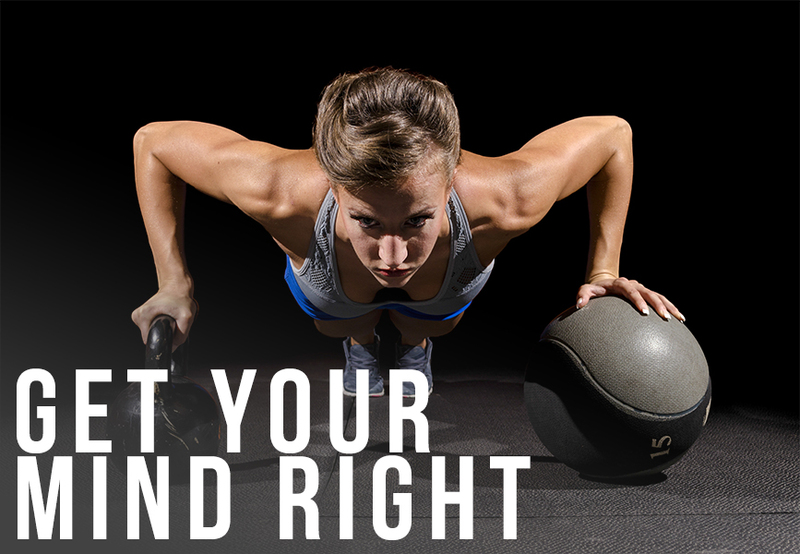 It’s a great way to keep yourself on-track and motivated. All of this, all of your motivation and confidence and mindset, is really just a way to force you to take action. You want success, you tell yourself you’re going to have success, but the only way you’ll get there is by taking action. If you’re convinced that you can’t fail (because you’ll never decide to fail) then action taking become easy. Once you’ve made the decision to succeed action becomes your only option. So make it happen.